You may recognise Tom from our Skintervention video. Here, you can learn a little more about him. 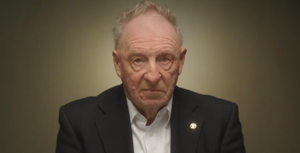 Tom is a 70 year old from Waterville, Co Kerry. He considers himself to be extremely lucky, not least because he has been happily married to his wife Eileen for over 40 years, they have four healthy children and are now blessed with wonderful grandchildren. Tom also considers himself to be lucky because he has survived melanoma, the most dangerous form of skin cancer. Tom recalls that has had been fortunate enough to have been happy and healthy all his life. He says he was barley sick a day in his life and never inside a hospital except to visit friends, with the exception of getting a small mole removed from his arm. However, things changed in 2012 when he went to visit his son Mark in Florida. Mark is a professional golfer and so the two went for a round of golf together with a friend who happened to be a surgeon. While playing, Tom noticed a bump on his arm, where the mole had been, and showed it to the surgeon. Thinking that something was amiss, the surgeon took Tom to see a colleague of his, a dermatologist. Later, the surgeon removed the lump and some lymph nodes. The lump was tested and a week later, Tom learned that the lump was, in fact, a malignant melanoma. Tom came back to Ireland to have more treatment in the Mater Hospital. His first round of treatment seemed to be successful. However, just a few months later, Tom and his family were very distressed when they got the news that the melanoma had returned and it looked as if the cancer may have spread to his lungs. But there was some good news as Tom’s oncologist told him about a clinical trial that could help fight the cancer. In October 2013, Tom began an intensive course of treatment that lasted 12 weeks. Tom says that when he was diagnosed with cancer he initially felt very down but now he feels like he has been given a second chance and that he is very fortunate. 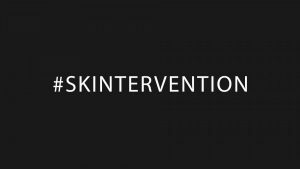 Tom is helping the Marie Keating Foundation with its #Skintervention campaign by encouraging everyone, especialy men, to wear sunscreen and to check their skin for any changes. He notes that men can be especially slow to speak to their GP if they notice something is amiss but urges them to take action as early detection saves lives.